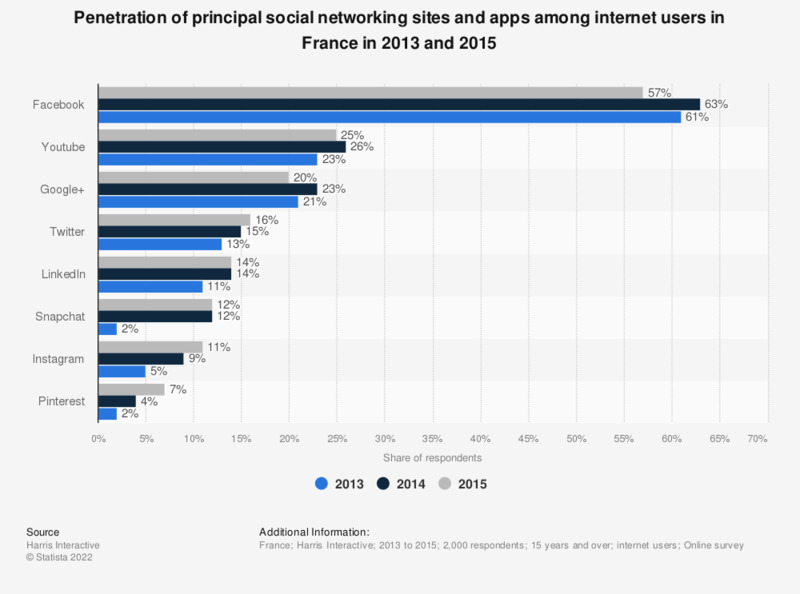 This statistic represents the usage of several social networking platforms by internet users in France in 2013 and 2015. It reveals that in 2014, twelve percent of respondents declared that they had used Snapchat in the last 30 days, whereas only two percent said that the year before. Shares correspond to respondents who stated that they had used the corresponding social networking platform in the last 30 days.